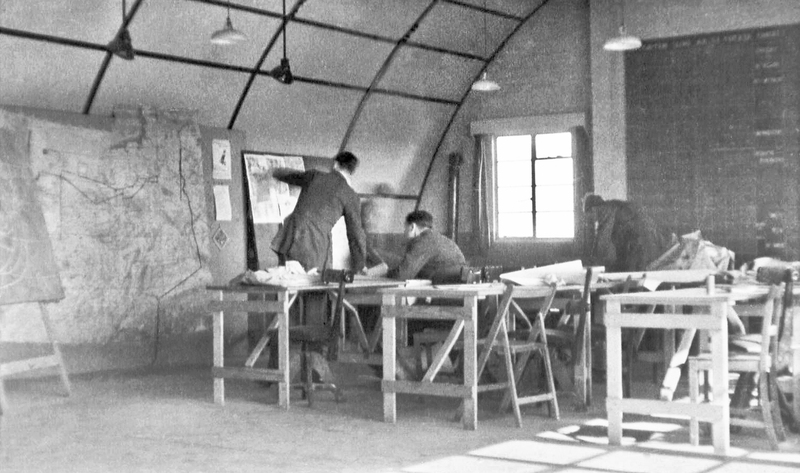 When Gransden Lodge first became operational in 1942, the two units that were initially assigned to the new station were both involved in top-secret work related to radar. The first of these, No. 1418 Flight (later the Bombing Development Unit), carried out trials of some of the inventions that were constantly being produced to assist the R.A.F., including new radar equipment that was to be vital to the success of the Allied bombing campaign against the Axis. The other, No. 1474 Flight (later No.192 Squadron), flew many hazardous missions across Europe, attempting to unlock the secrets of Germany’s radar systems. One of these operations was of such importance, and carried out against such odds, that it is mentioned in the memoirs of Sir Winston Churchill. During this period the work being carried out meant that Gransden Lodge was visited by some of the country’s leading scientists, such as Bernard Lovell, later to become famous as a radio astronomer, and Sir Henry Tizard, one of the driving forces behind the creation of the country’s wartime radar defences. Planning a sortie in No. 142 Squadron’s Briefing Room. Within a year these units had moved away to carry on their work at new bases, and the station became the home of No. 405 Squadron, the only Canadian squadron in the R.A.F.’s élite Pathfinder Force. Initially flying the Halifax, the squadron soon converted onto the famous Lancaster, and this aircraft became the workhorse of the squadron. While at Gransden Lodge the squadron was commanded, in turn, by the two most famous Canadian bomber pilots of World War Two, Johnny Fauquier and Reg Lane. The first Canadian-built Lancaster, the ‘Ruhr Express’, was collected from Canada by Lane and it was from Gransden Lodge that it took off for its first missions in November 1943. While based at the station, No. 405 Squadron took part in many operations that have, for various reasons, become famous or infamous. These included the raids that caused such huge devastation in Hamburg and Dresden, the attack on the German rocket research facility at Peenemünde, the gruelling campaign of the Battle of Berlin with its high casualty rate, and many others. Despite the grim business of the war being waged, there was also a lighter side to life at Gransden Lodge, with many sporting events, parties, concerts and film shows being organised, along with the inevitable pranks carried out by the boisterous Canadians. In late 1944, No. 405 Squadron was joined by another squadron of the Pathfinder Force, No. 142 Squadron. 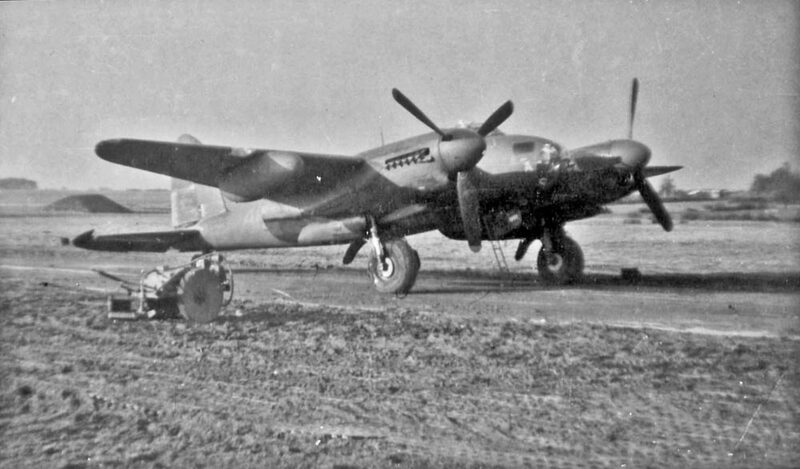 This squadron was part of the Light Night Striking Force that frequently, and in all weathers, flew missions against Berlin using the Mosquito. Other units, non-operational but still of great value to the war effort, were also based on the station; their roles included training in navigation (the Path Finder Force Navigation Training Unit); blind-landing training (No.1507 B.A.T. Flight); and providing fighter aircraft to allow bomber crews to train in techniques for self-defence (No. 1696 B.D.T. Flight). 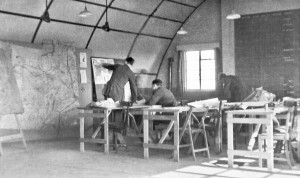 After the war’s end, Gransden Lodge was used until February 1946 by a unit pioneering radar-assisted airborne mapping and as a base for transport aircraft (No. 53 Squadron). It was subsequently the venue for the first post-war motor races in the U.K., and for many years was earmarked as a possible Cold War base for British and American forces. The first day of flying at Gransden Lodge by the Cambridge University Gliding Club, 16th September 1990. By the late 1960s the airfield had been decommissioned, and the roar of Merlin engines had been replaced by the song of hovering skylarks. 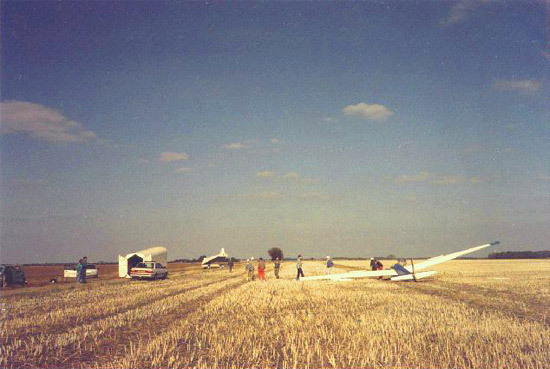 Finally, in the early 1990s the wheel came full circle and flying began again, when Gransden Lodge became the home of the Cambridge University Gliding Club, now the Cambridge Gliding Club. by Cambridge Gliding Club member – Chris Sullivan. Chris’ book is available in paperback at troubador.co.uk and Amazon. Part 1 – Pre World War 2 : Starting in 1935, CUGC members flew a variety of interesting gliders and even designed and built their own Granta glider. Part 2 – Post War until the Sixties : The gliders involved in the most classic CUGC adventures, such as the Olympia that was ditched in the sea twice. Part 3 – The Wooden Era : Charting the development and growth of the CUGC fleet in the ’70s and ’80s. Part 4 – The Glassfibre Era : From the club’s first glassfibre glider in the ’90s to today’s modern fleet. Part 5 – Tugs and Motorgliders : Tiger Moths, Supercubs, Robins and more. These pages are the first stage in creating an electronic archive of club documents and recording the history of Cambridge University Gliding Club and its successors, the Cambridge Gliding Club and the Cambridge Gliding Centre. The Archive will eventually include committee minutes and club newsletters plus other useful reference documents, with links to the onsite libraries of gliding magazines, and also with an image library. The hope for the History is to create a complete and interesting record of the club’s history from 1935 to the current day, with notable flights and members’ exploits and achievements and mishaps recorded for posterity. The History is intended to become a living document, with additional information to keep it accurate and up to date. If you have any recollections, anecdotes or other information, please contact Iain Baker.